On the last day of this meeting promoted by the Dicastery for the Service of Integral Human Development and the World Council of Churches, the Pope improvised a few words and gave them his speech prepared in advance, where he denounces today acts of intolerance, discrimination or exclusion that seriously endanger the dignity of the persons involved and their fundamental rights, including the right to life and to physical and moral integrity “. 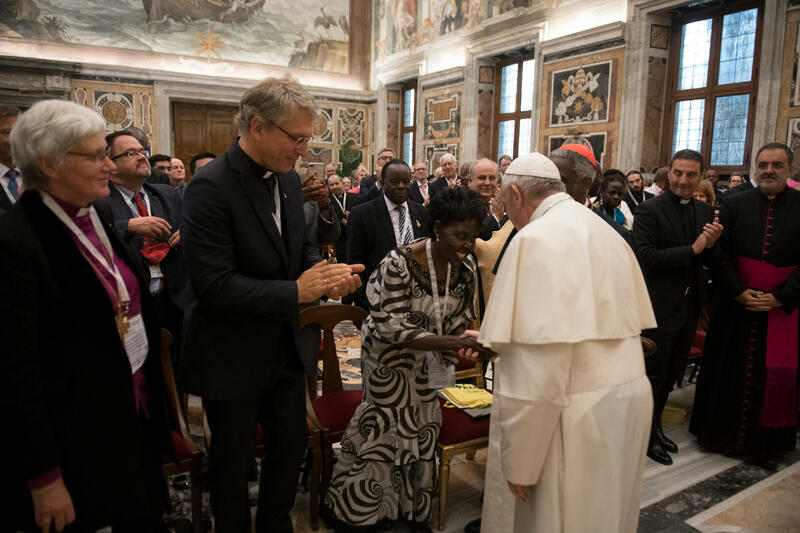 “The gravity of these phenomena can not leave us indifferent,” insists the Pope: “We are all called upon, in our respective roles, to cultivate and promote respect for the intrinsic dignity of every person, starting with the family … but also in the various contexts in which we act “. It particularly encourages the media, trainers and religious leaders. Here is a ZENIT working translation of the speech prepared in advance.